Yunnan is an amazing province for non-cycle travel groups and it is also a heaven for mountain bikers. The north of Yunnan province is neighbored with Tibet, a bike journey from Yunnan to Tibet is one of the most popular routes for local Chinese cyclists. 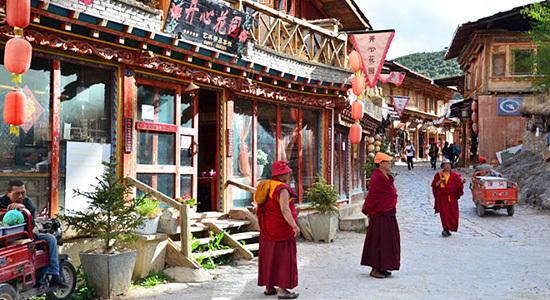 In the northern part of Yunnan, Tibetan culture exists in many cities, Shangri-la, Deqing, etc. 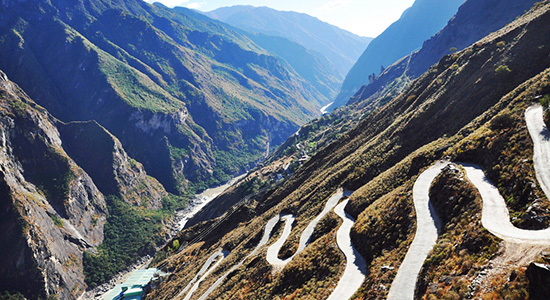 And it is also where the Tiger Leaping Gorge located, trekking on the highway of the gorge is known as one of the top routes in foreigners’ wishing list of China. Besides, the White Rice Terraces, the lakes and Snow Mountains there are attracting visitors all year round. Shangri-la is situated in Diqing Tibetan Autonomous Prefecture in the northwest of Yunnan Province. It’s a plateau city with an altitude of 3,300 meters above the sea level. 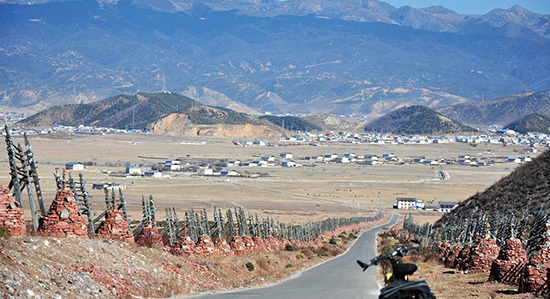 Deqing country is the last county that belongs to Yunnan province, so foreign riders without special travel permit to Tibet cannot go further if they bike on their own. The highlighted section for a bicycle tour in Yunnan is between Shangri-la county and Dali, including the viewing the Snow Mountain of Yulong and Haba, Lijiang, Dali, and many peaceful rural areas. A dream to explore some Tibetan culture and to cycle on the highland will become true if you join a group biking from Shangri-la to Dali. Famous attraction includes Gandan Songzanlin Monastery, Pudacuo National Park, Shangri-la Great Canyon, Napa Lake and Shika Snow Mountain etc. There are not too much mountains over 4000M in Yunnan province, however, the cycling difficulties is not easy. Leaders of GuilinCyclingTours rated the bike routes there from Medium to Hard. Climbs from kilometers to tens of kilometers in one day is a basic, e.g. 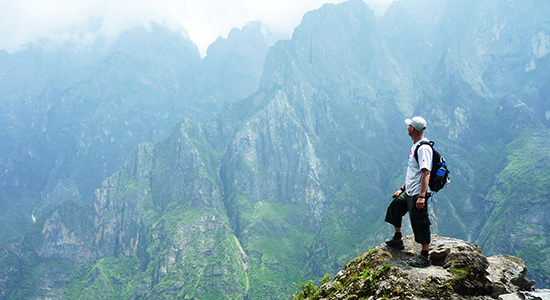 A cycle holiday from Tiger Leaping Gorge to Lijiang means a uninterrupted climb up for over 25KM, with an altitude changing from 1800M up to 2966M. People may feel much harder to cycle/trek when the elevation reaches 3000M. Yunnan is a commercialized tour province but even a budget backpacker traveler regards it as a place worth to see. 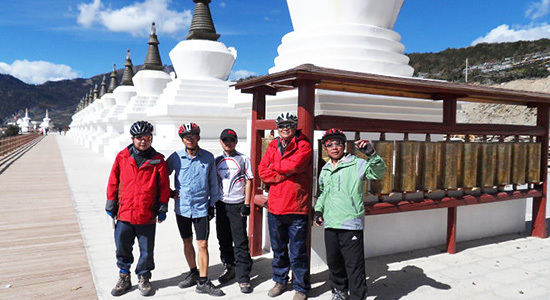 Contact us for a 13-day bicycle trip seeing Tibetan culture and the top scenery in China.